These poems are just what you need if you wish to toast your best friend/buddy on his birthday. They convey light-hearted and warm birthday wishes. Should you decide to give a speech, the poems add an unusual finishing touch. 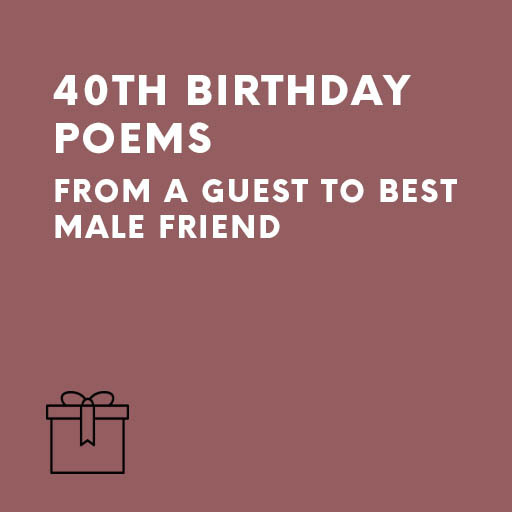 Order our Ready-to-Go Best (male) friend’s 40th birthday poems These poems are just what you need if you wish to toast your best friend/buddy on his birthday. They convey light-hearted and warm birthday wishes. Should you decide to give a speech, the poems add an unusual finishing touch.